Obesity/unhealthy nutrition is becoming a major health concern for Europe and Central Asia. The UN’s Food and Agriculture Organization is warning that obesity and diet-related illnesses could emerge as the major challenges while hunger will only be a “minor” problem. 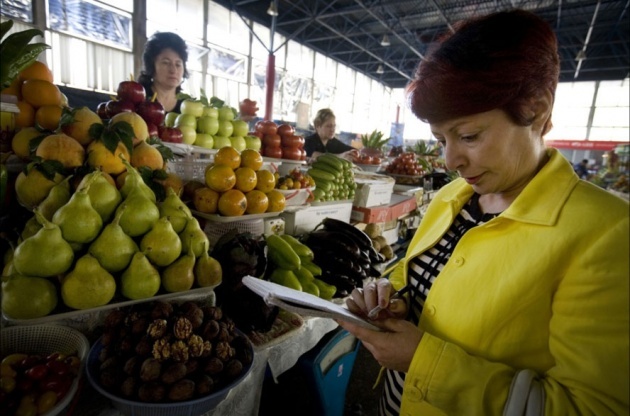 Hunger currently affects less than 5% of the population in most of the region but remains a significant concern in large parts of the Caucasus and Central Asia, according to the Report to be presented at FAO’s bi-annual Regional Conference for Europe and Central Asia in Azerbaijan. The report predicts that the percentage of people experiencing hunger in the Caucasus and Central Asia will drop from 9% to 2% by 2030 and then to one per cent by 2050. The Report also alerts that as diets shift from cereals towards higher consumption of meat and dairy, the risk factors behind chronic, non-communicable diseases could rise in parts of the region. In addition to diet, the Report says that lifestyle habits, poverty and medical care also influence obesity, disease and death rates, and that these increased risk levels will place greater pressure on healthcare facilities in the poorer countries of Central Asia than in the EU. The Conference in Baku, Azerbaijan will include representatives from 53 countries and the European Union. It will also look at what agricultural policies can help boost crop production to both address food security as well as combat rural poverty. FAO notes that, in rural areas of Eastern Europe, the Caucasus and Central Asia, crop production by small farmers, especially for cereal, falls well below potential yields. Excess of everything is good for nothing!! !